Lake Union Publishing, 9781477809518, 241pp. From the bestselling author of Carry Yourself Back to Me comes another tightly plotted, emotionally complex novel about strangers who happen to be part of the same family. A series of tragedies brings Vivvie's young grandchildren into her custody, and her two estranged daughters back under one roof. Jackson, Vivvie's husband, was shot and killed 30 years ago, and the ramifications have splintered the family into their own isolated remembrances and recriminations. This deeply personal, hauntingly melancholy look at the damages families inflict on each other -- and the healing that only they can provide -- is filled with flinty, flawed, and complex people stumbling towards some kind of peace. 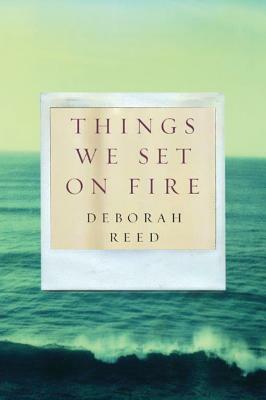 Like Elizabeth Strout and Kazuo Ishiguro, Deborah Reed understands a story, and her characters reveal themselves in the subtleties: the space between the thoughts, the sigh behind the smile, and the unreliable lies people tell themselves that ultimately reveal the deepest truths. -Reed is fearless in nudging her characters toward disaster, and the reader follows with a thumping heart, confident in the story's authoritative prose and, ultimately, redeeming spirit. I was genuinely moved by this novel, and recommend it highly.- -- Antonya Nelson, author of Bound: A Novel and Some Fun: Stories and a Novella.